I apologise for my absence here. The arrow on life somewhat turned downhill which was kinda depressing. Something happened that I’ve never experienced before but, lets get into that in a more personal post next. Now lets talk about summer and the beautiful things that comes with it. How’s the weather at your end? For a minute the weather in UK was top notch hot but, as always it has the last laugh. – Nonetheless we won’t let that hinder us from wearing stylish sleeveless denim dresses, white mermaid dresses and any other summer trendy pieces brands have to offer. With a holiday coming up soon the hunt for summer staples is real. 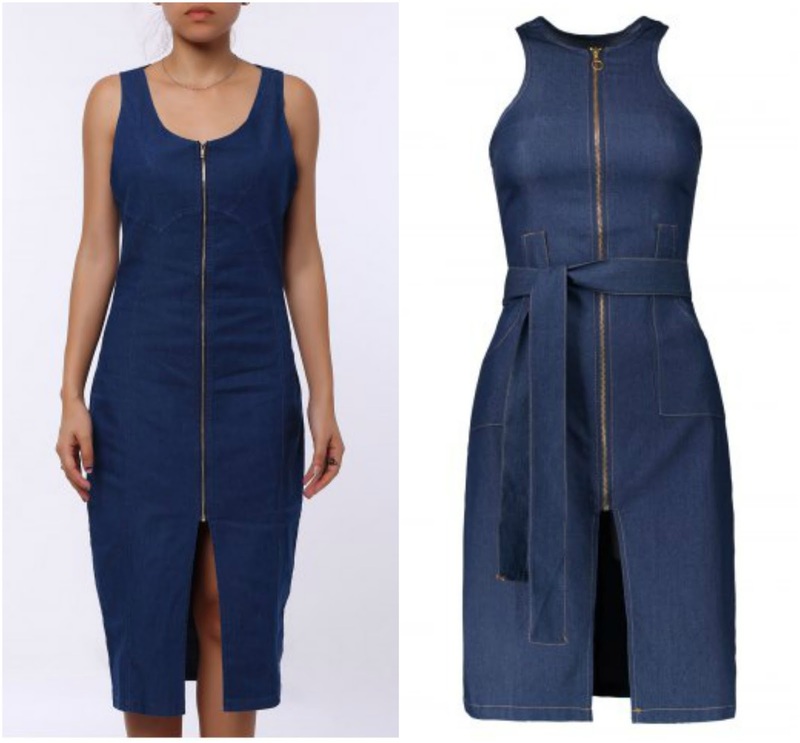 Denim is a timeless essential that will never go away but, the buzz this season has been nothing short of interesting and amazing. – From denim chokers, to the pinafore trend and over-sized rugged denim jackets, brands are going wild. 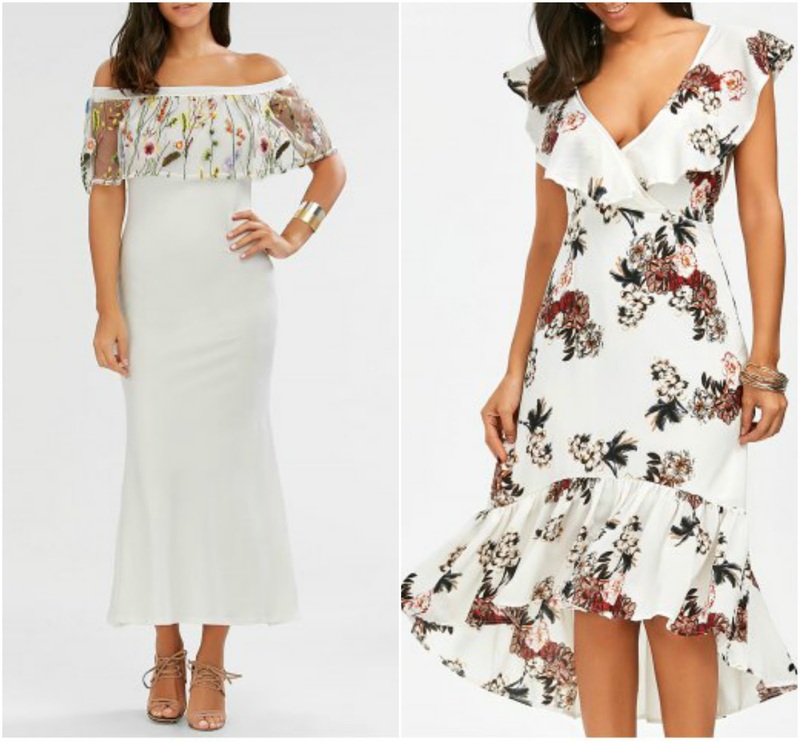 Another trend that’s buzzing are off-the-shoulder and ruffles. Embroidered, floral, playful, exaggerated, simple, romantic, -you name it and you’ll find it! When it comes to how to wear these trends, I believe its about individual styling but, I’ll say, tone down on the accessories. Let the clothes do the talking because they bring enough drama with it. Like me, if you’re on the lookout for affordable summer ensemble or going on a holiday and need some cute pieces, Rosegal offers free world wide shipping on all orders. The brand caters for plus size ladies as well. I took upon myself to check some reviews on Youtube and all the ones I watched were positive. Have a good week, beauties. My blog is low key under construction please as there’re some technical issues.